From Meredith to Mommy: Special Delivery! It's A .... Book! Special Delivery! It's A .... Book! 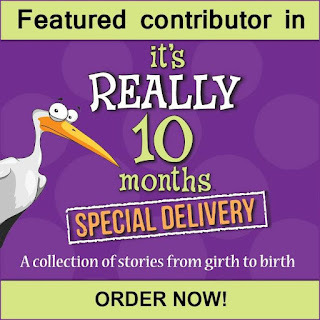 So many mothers confess in message boards, and to their girlfriends, that one of the scariest parts about adding a second, or third, or fourth child to the mix, is that the excitement of giving birth to your first will be lessened. Sure, you'll be happy, but you know, been there, done that. I was worried that it might start to feel that way with books. As in, when you see your byline in an actual printed book for the first time, and you get so excited and buy multiple copies because this can't actually be real??? I was in a book!! My first book baby existed! I could show it off! I could be proud! It was my first book. Amazing. Then it happened again. And again. And yesterday, again. And just like babies, the worries aren't realized. Honestly, it's as exciting as it was with the first. 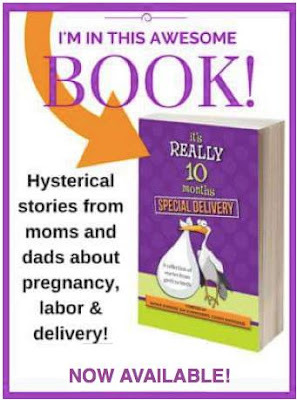 Yesterday, on Labor Day, It's Really Ten Months: Special Delivery, was delivered. It came, weighing 13.3 oz and a very respectable 9 inches long...and I've got a story in it. Actually, Reagan has a story in it. Most of my regular readers remember that Reagan is my Leap Baby. My stubborn little girl who looked at the one in fourteen HUNDRED chance of being born on February 29, nodded in utero, and mouthed challenge accepted. I did not want a Leap Baby. 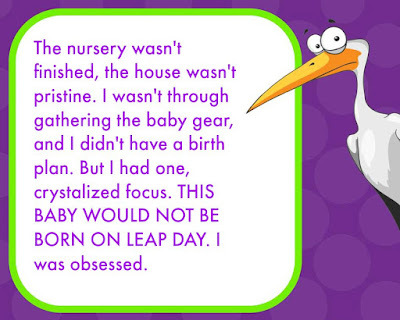 I spent many hours planning my labor and birth and mentally blocking the universe from giving me a Leap Baby. But like most parts of pregnancy, birth, and raising kids, you spend these moments realizing what little control you actually have. My wishes and plans were heard, sure. But Reagan had the final say. 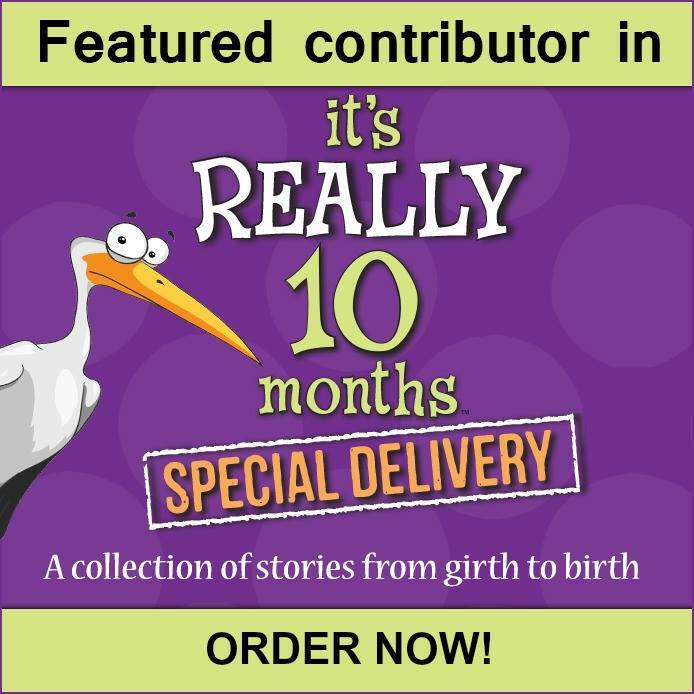 Her birth story and my stubborn refusal to accept the possibility of this very special birth date are now in print, serving as a public service announcement that babies have their own agenda. The beauty of having my writing published in anthologies is that I don't have the stress of promoting myself. I'm absolutely terrible at promoting myself. If I ever do get around to finish the project that I'm working on myself, it will probably die on the vine because I couldn't get up the courage to actually promote it. Book number four is here. And I'm basking in the moment, lining it up just so with my other book babies. Indulge me and gush a bit, because this baby deserves it just as much.